Our proprietary API and FIX CTCI solutions let traders, investors and institutions create their own automated rule-based trading system that takes advantage of our high-speed order routing and broad market coverage. Customer money is segregated in special bank or clearing accounts, which are designated for the exclusive benefit of AMID Financial Centre. If no money or stock is borrowed and no futures positions are held by the customer, then the customer’s assets are available to be returned to the customer in the event of a default by or bankruptcy of the broker. A portion of customer funds are typically invested in U.S. Treasury securities and FDIC-backed bonds. Although permitted by regulations, given the credit concerns over foreign sovereign debt AMID Financial center does not currently invest any customer money in money market funds. As a practice, AMID Financial Centre holds an excess amount of its own money in these accounts to ensure that there is more than enough cash to protect all customers. Program traders may build their own add-on applications in Excel (using DDE or ActiveX), C++, Posix C++, Java, and Visual Basic for ActiveX with our proprietary AMID Application Program Interface (API), which requires connectivity via either the AMID Global Pro or the AMID Gateway. We encourage API users to test their API components with their Paper Trader or the PRO Demo System before actually implementing any new API systems. AMID Trader DMA FIX/API adheres to the standard of Financial Information Exchange (FIX) for the industry. It provides Direct Market Access (DMA) to various market destinations for high speed order execution and validation without compromising latency. Because our DMA FIX is co-located within the exchanges’ data center, our clients benefits by cutting time and cost in setting up connections to multiple venue options by just connecting to AMID infrastructure. 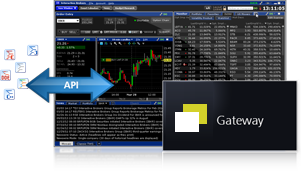 AMID Trader FIX/API – Automatically transmit, receive and cancel advanced order types, execution reports, order status, positions, liquidity flags, account balances, standardized market data for Nasdaq, Direct EDGE, BATS and more. Are you a FIX/CTCI trader who needs to access our trading system through the public Internet? 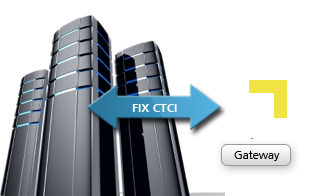 AMID Gateway is our industry standard FIX solution for clients who can support a FIX Computer-to-Computer Interface (CTCI) infrastructure. Our proprietary FIX/CTCI solutions let you create your own automated rule-based trading system that takes advantage of our high-speed order routing and broad market depth. You can log into either interface at any time with no repercussions. You may want to use AMID Pro for testing, and subsequently run the AMID Gateway to conserve system resources. Both access methods are upgraded synchronously and provide the same features; the primary difference is that the AMID Gateway has a lighter and less sophisticated graphical user interface (GUI).